This shows the altar and the pews inside the church. The altar is topped with the sign "Apo Caridad, be our advocate". Apo means God and Caridad means charity. 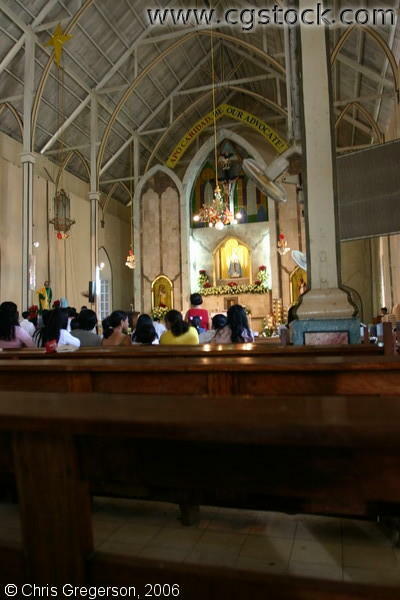 Catholicism abounds here in the Philippines.